Parallax Press is the publishing division of Unified Buddhist Church, Inc., dedicated to publishing books and tapes on socially engaged Buddhism. In addition to titles by Thich Nhat Hanh, Parallax has published books by Robert Aitken, Stephen Batchelor, Maha Ghosananda, Sister Chan Khong, H.H. the Dalai Lama, Joanna Macy, Sulak Sivaraksa, Mitsu Suzuki, Ko-Un, and other important leaders of socially engaged Buddhism. Shambhala Publications specializes in books that present creative and conscious ways of transforming the individual, the society, and the planet. The notion of translating spiritual insight into action in the world is embodied in the company's name: "Shambhala" is a legendary Central Asian kingdom that symbolizes an enlightened way of life harmonizing the inner and outer worlds. Thus, the Shambhala worldview enables them to publish in a wide variety of subject areas, including psychology and the sciences, the arts and creativity, business and economics, and health and healing. Still, religion and philosophy remain the heart of their publishing program. Although Buddhism is Shambhala's main religious focus, they also publish books on Sufism, Hinduism, Taoism, Judaism, and Christianity. Snow Lion Publications publishes a wide range of books on Tibet. The Library of Tibetan Buddhism and culture includes everything from Tibetan Buddhist philosophy and meditation practices to Tibetan medicine, cookbooks, art and photography, travel, language, biographies, and the interface of Buddhism, psychology, and mind science. Snow Lion is a major source for books by the Dalai Lama, with over a dozen titles by him. Wisdom Publications is dedicated to making available authentic Buddhist works for the benefit of all. They publish translations of the sutras and tantras, commentaries and teachings of past and contemporary Buddhist masters, and original works by the world's leading Buddhist scholars. They publish our titles with the appreciation of Buddhism as a living philosophy and with the special commitment to preserve and transmit important works from all the major Buddhist traditions. ACTA Publications began as a publisher of books and audio/video resources for the Catholic market. It has since broadened its editorial scope to include a wide variety of materials for those attempting to live out the Christian faith in their daily lives, on their jobs, with their families, and in their communities. While some of ACTA's material is specifically Catholic in nature, most of the company's products are aimed at a broadly ecumenical audience. Ave Maria Press concentrates its publishing activities in five main book publishing categories: prayer and spirituality, adolescent catechesis, pastoral care and guidance, parish and ministry resources, and elementary catechetical resources. Founded in 1865, Ave Maria Press is one of the oldest religious publishers in the United States. Father Edward Sorin of the Congregation of Holy Cross established the Press 20 years after he founded the University of Notre Dame. Today it remains a ministry of the Priests of Holy Cross and is located on the campus of the University of Notre Dame. Over the years, Ave Maria Press has published such important Catholic authors as Joseph Champlin, Thomas Green, Edward Hays, Francis MacNutt, Thomas Merton, Henri Nouwen, Michael Pennock, Joyce Rupp, Mother Teresa, Robert Wicks, and Macrina Wiederkehr. Harcourt Religion Publishers provides the Catholic educational market with practical, easy-to-use catechetical resources that assist children and adults in the process of faith formation and reflect the authentic teaching of the Catholic Church. The content of these resources reflects the best insights of current theology, methodology, and pedagogical research. 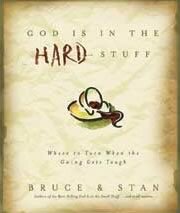 Harcourt Religion is also a leading publisher of Catholic high school curriculum. Titles cover the spectrum of core and elective courses currently in use in Catholic high schools across the United States. Over the next three years, Harcourt Religion will revise and expand its major programs to provide a more integrated approach to the faith needs of the whole parish. This whole parish approach respects the most recent teachings of the Church calling for a greater attention to the faith needs of adults and families. Striving to stand at the intersection of faith and culture, Paulist Press is committed to publishing quality materials that: bring the good news of the Gospel to Catholics and people of other religious traditions; support dialogue and welcome good scholarship and religious wisdom from all sources across denominational boundaries; foster religious values and wholeness in society, especially through materials promoting healing, reconciliation, and personal growth. Abingdon Press, America's oldest theological publisher (in operation since 1789), provides an ecumenical publishing program dedicated to serving the Christian community--clergy, scholars, church leaders, musicians, and general readers--with quality resources in the areas of Bible study, the practice of ministry, theology, devotion, spirituality, inspiration, prayer, music and worship, reference, Christian education, and church supplies. 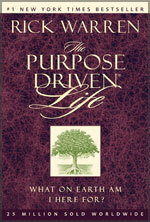 Dimensions for Living books help Christians apply their faith to daily life. Recognizing that living faithfully in today's world isn't easy, Dimensions for Living offers daily meditations, inspiration, practical suggestions, faith-filled advice, and other helps for Christian living. Kingswood Books is an academic imprint devoted to scholarly works in all periods and areas of Methodist and Wesleyan studies. The Kingswood Books imprint honors John Wesley's lifelong commitment to an informed and reflective Christian life. 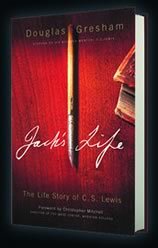 This commitment, which found expression in his extensive writing and publishing, took concrete form in his establishment of the Kingswood School near Bristol, England. Help the reader get into the Bible, directly or indirectly. Facilitate confrontation and interaction with Scripture toward a positive change in thought or action. Give a hunger to studying, understanding, and applying Scripture. Encourage and facilitate one's personal growth in such areas as personal devotion and a skillful use of the Bible. They have a broad interest in biblically oriented books including: Biblical Reference, Applied Theology and Apologetics, Christian Ministry, Bible Study Books in the Following God series format, Christian Living, Women/Men/Family Issues, Single/Divorce Issues, Contemporary Issues, (unique) Devotionals, Inspirational, Prayer, and Gift books. They are also introducing a new line of young adult Fantasy fiction. The philosophy of Augsburg Books is reflected in their mission statement: To provide general audience resources that inform, reform, and nourish Christian faith. Their books are targeted at a broad market: Christians of all denominations as well as readers who are not committed Christians or churchgoers, but may be seeking answers to spiritual questions. Subjects include: Religion, spirituality, grief/healing/wholeness, parenting, interactive books for children and families, seasonal and picture books. Barbour Publishing, which began as a small remainder seller, in 1981, is now a prominent Christian publisher aiming for the broadest segment of the Christian evangelical market and not one particular audience. 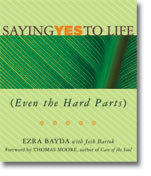 Their readers consider themselves born again Christians and rely on Barbour Books to confirm their values and beliefs. Recognized as a pioneer and leader in Christian fiction, Bethany House publishes nearly 100 titles annually in subjects including historical and contemporary fiction, Christian living, family, health, devotional, children's, classics, and theology. Accepts agented submissions or one-page queries. From its original core of Bibles, textbooks, and reference titles, Broadman & Holman has blossomed into a major publisher of youth and children's books, Christian fiction, humor, financial management, history, and other categories. Most recently, Broadman & Holman is best known for publishing books by Dr. Henry Blackaby (Experiencing God) and Beth Moore (Praying God's Word) as well as New York Times bestseller, Payne Stewart: The Authorized Biography, by Tracey Stewart. The company's Holman Bible Publishers division has developed the new Holman Christian Standard Bible translation and is also the largest publisher of Spanish language Bibles in the United States. Although Eerdmans publishes some regional books and other nonreligious titles, it is essentially a religious publisher whose titles range from the academic to the semi-popular. 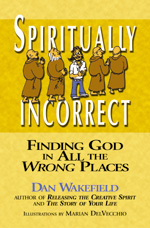 It is now publishing a growing number of books in the areas of spirituality and the Christian life. It has long specialized, however, in biblical studies and theology and in religious approaches to philosophy, history, art, literature, ethics, and contemporary social and cultural issues. Eerdmans Books for Young Readers publishes picture books, middle reader and young adult fiction, and nonfiction for the general trade, school, and library markets. They seek manuscripts that celebrate the wonders of our physical and spiritual world — the joys and beauty, but also the challenges. They seek stories that are honest, wise, and hopeful; but also publish stories that simply delight with their storyline, characters, or good humor. Lighthouse Trails Publishing is a Christian publishing company. The books they publish align with biblical truth and have a message or story that needs to be heard. They’re interested in stories of Christians who have risen above incredible challenges and even their own failures to illustrate God's amazing grace and strength to overcome. They are especially interested in books written by or about missionaries. The Lutterworth Press is one of the oldest independent British publishing houses. They have been trading since the late 18th Century, and have built up a worldwide reputation for publishing books of high quality by authors of distinction. They publish books in four main areas: Adult general titles (non-fiction only), religious titles, children's titles, and children's religious titles. Their religious subjects include: biblical studies, biography and mission, liturgy, mysticism and spirituality, prayer and meditation, religious education, and theology. NavPress publishes books, Bibles, magazines, and other products related to the Christian life, especially in the areas of discipleship and spiritual growth. Their book categories include: Biblical reference, biographies, Christian living, devotionals, discipleship/journals, fiction, general non-fiction, study guides, and workbooks. New Hope Publishers equips women and families to grow in Christ and share His hope. As a publisher run by women for women, they believe that God has given women distinctive gifts to further His kingdom—the gift to nurture, the ability to communicate, the extraordinary blessing of giving life-along with limitless individual gifts. Their books and Bible studies deal with real-life issues specific to Christian women-how to find a mentor, be a mentor, nurture a child’s faith through mothering or grandmothering, face infertility, cope with breast cancer, overcome a horrific past, navigate the difficult paths of adolescence, move from high school to the unknown world of college, live fully as a single woman, deal with church "do-gooder" burn-out, manage money, foster friendships with other women, reach across cultures, understand the power of prayer, and recognize one’s role in God’s plan. Regardless of the topic, all New Hope books focus not only on the heart of the reader, but on equipping her to bless others. Paraclete Press is a Christian multimedia company that publishes books, videos, sheet music and music recordings. In all their products, the message about God is presented with an underlying attitude of reconciliation and unity among all Christians--Catholics, Protestants and Orthodox. But they reach out to all who are searching and seeking God, and share with them God's timeless Truth and eternal Love. For over 20 years, Rainbow Publishers has helped teachers lead kids to stronger relationships with Jesus Christ. They specifically seek reproducible classroom resource books that use crafts, games, puzzles and other activities to creatively teach the Bible to kids ages 2-12. 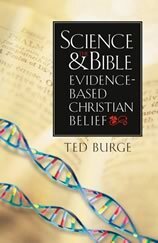 Works of scientific inquiry into the realms of theology and spirituality, particularly researched, written, or otherwise supported by the scientific and/or academic community. Works of inspiration that combine scientific inquiry with ecumenical, nonsectarian spiritual principles, particularly researched, written, and supported by both the scientific and spiritual communities. Spiritual works can come from someone who either practices a specific religion, follows a certain tradition, or who does not participate in any specific religious or spiritual community. The key is that the work itself presents universal spiritual thought that embraces everyone and affirms that all positive thought or belief systems are possible paths to the "truth." Works combining spirituality and healing, particularly researched, written, or otherwise supported by traditional Western medicine in conjunction with Eastern, alternative, complementary, or integrative medicine; works that promote the mind-body-soul connection. Works promoting character-building education, such as guidebooks or any works promoting character-building curricula in schools. 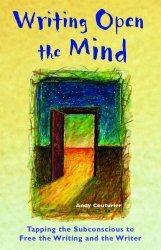 Works in psychology and the social sciences, particularly those that explore the value and benefits of practices and attributes such as forgiveness, optimism and hope, wisdom, and other life-changing positive states as viewed from various research perspectives to illuminate the scientific foundations of effective living; how positive mindsets and virtues enhance the lives of individuals and, ultimately, the well-being of society. Tyndale House Publishers is a nondenominational religious publisher that publishes 300 general interest books for the evangelical Christian market each year. Their books cover a wide range of categories: home and family, Christian growth, devotional, motivational, children, youth, inspirational, theology, doctrine, fiction, general reference, and some miscellaneous selections like humor and puzzle books. They do not hold a particular denominational or doctrinal view but publish books that express biblically supportable approaches to life in the tradition of orthodox Christianity. The world’s largest Bible publisher, Zondervan is a leading international Christian communications company, producing best-selling and award-winning Bibles, books, children’s products, software, audio, video, multimedia, and a broad line of gift products. Zonderkidz, the children's group of Zondervan, focuses on publishing and promoting developmentally-appropriate, biblically based books, Bibles, gifts, and videos. They partner with the leading child and parenting experts to create many of the world's best-selling Christian products to meet the needs of children ages 12 and under. Mandala Publishing strives to bring its readers authentic and accessible renderings of India's thousands of years of wisdom-a timeless treasure that has inspired their offerings. They present a unique and exciting range of books, music, videos and tools from the great Vedic traditions. 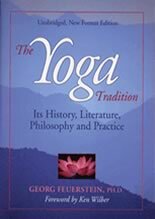 The cultures and traditions of the Vedas provide a wealth of knowledge and practices from yoga, Sanskrit mantras, and mudras to breath control, Ayurveda, and meditation. The arts, health, ecology, and spirituality of the Vedas comprise an unparalleled legacy for the world today. Behrman House is known as a publisher of quality Judaic textbooks and supplementary materials for the classroom. Their educational materials are fun, age-appropriate and pedagogically sound. They also publish noteworthy books about Judaism and Jewish life for those interested in deepening their understanding of Judaism, their Jewish roots, and Jewish practice. Hachai specializes in full color picture books for Jewish children. Their books teach Jewish history and tradition as well as promote universal values such as sharing, kindness and charity. Jason Aronson publishes both Psychotherapy and Judaica titles. Their list of Judaica authors spans the entire spectrum of approaches to Jewish tradition. Subject areas include Baal Shem Tov, Folklore and Storytelling, Gematria, Hasidism, Jewish Law, Kabbalah, Maimonides, Marriage, Meditation, Prayer, Talmud, Torah, Women's Studies, and more. General trade books reflecting the Jewish wisdom tradition for people of all faiths, all backgrounds. Special emphasis on broadening the Christian world's understanding of Judaism. Subject areas include spirituality, philosophy, children's, healing, recovery/self-help, theology, New Age/mysticism and history, personal growth and religious inspiration. Kehot Publication Society and Merkos Publications, the publishing divisions Judaism's Lubavitch movement were established in 1942 by the sixth Lubavitcher Rebbe, Rabbi Yosef Yitzchak Schneersohn. The Lubavitch publishing houses have brought Torah education to nearly every Jewish community in the world, and is the world's largest publisher of Jewish literature. More than 100,000,000 volumes have been disseminated to date in Hebrew, Yiddish, English, Russian, Spanish, French, Italian, Portuguese, Dutch, German, Farsi and Arabic. Their publications include discourses on Chasidic philosophy and mysticism, Halachic texts and other scholarly works, histories, biographies, novelettes and story books for young children. An ever expanding list is designed to stimulate and satisfy the appetite of Jews on every level of religious understanding for a better knowledge of Judaism. Pitspopany Press publishes books for children from ages 3 through 14. The age categories of our titles are 3-6, 5-9, 8-12, 10-14. Submissions must have Jewish content. This does not mean that the content must be religious of nature, but it should be easily recognizable as having some Jewish information which can benefit Jewish children. Manuscripts in almost any category are accepted, but these categories are preferred: Humor, Mystery, Jewish Family Life, Israel, Bible, Animals, Holocaust, and Midrash. Jewish Family Life stories that take place today, specifically for ages 6-9 and 8-12. A collection of non-fiction Israel stories about children living in Israel, both sabras and immigrants. Jewish Camp Stories for Kids, which will be the sixth in our "Jewish Stories for Kids series". Each story should be no more than 5,000 words. We are looking for up to 8 author's stories. Stories for all ages for our "Tikkun Olam" series. These are stories that deal with how to make the world a better place. 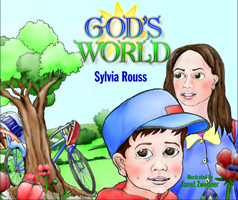 The first in the series, "God's World" by Sylvia Rouss, will be available January 2005. The stories must all have Jewish content but can be in any age range. Whether you want a cookbook or a historical overview of the Holocaust, a Passover hagaddah, a book on Jewish dating, or a biography for young people, Targum Press has the books you're looking for. Targum Press accepts book proposals and manuscripts for consideration. The content must be of interest to, and appropriate for the Orthodox Jewish population. URJ Press provides the highest quality in religious educational materials and has for well over a hundred years. Their publications are suitable for all ages, from preschool through adult, for use in both the classroom and at home. They accept queries with a description of the proposed work and a short biography of the author. Urim Publications is an independent Jewish publishing house based in Jerusalem and New York. Dedicated to publishing and distributing classical and contemporary works of the highest caliber, their main areas of interest include: Jewish Thought, Spiritual or Meditative Works, Women and Judaism, Jewish Law and Modernity, Bible Commentary, Israel Studies, Modern Biographies, and Children's Illustrated Books. DeVorss & Company is a book publisher and distributor of Metaphysical, Inspirational, Spiritual, Self-Help, and New Thought titles. Since their first day of business in 1929, DeVorss & Company has been solely committed to providing booksellers and readers worldwide with material that leads their mind, body, and soul to new levels of spiritual awareness. For 33 years Findhorn Press has been publishing books of spiritual inspiration, healing, guidance, nature and transformation. They strive to bring healing and hope into our world. They seek to inspire and educate and inform their readers in every corner of the Earth--many of their books are published in several languages. Hampton Roads Publishing Company publishes quality metaphysical fiction and non-fiction books. Their subject areas include visionary fiction, new thought, new science, alternative medicine, nagualism and psychic realms. Hay House is devoted to the publication of books, audio, and video in the areas of self-help, new age, sociology, philosophy, psychology, alternative health, men's/women's issues, food and nutrition, finance, environmental issues, education, business, astrology, and more. They also publish gift books in the above subject areas. Hay House is committed to publishing products that have a positive self-help slant to them and that are conducive to healing ourselves and our planet. Inner Traditions is a leading publisher of books on indigenous cultures, perennial philosophy, visionary art, spiritual traditions of East and West, sexuality, holistic health and healing, self-development, as well as recordings of ethnic music and accompaniments for meditation. Llewellyn Publications leads the way in New Age publishing. The Llewellyn library now consists of thousands of titles in subjects such as paganism, wicca, astrology, tarot, self-help, health and healing, parapsychology and the paranormal and even fiction. 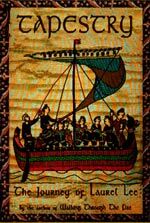 Llewellyn has also continued to expand it's non-book products, including many new tarot kits and decks, calendars, and almanacs. Moment Point Press believes that as any one of us creates a more loving, healthy, and prosperous life, we affect everyone around us—and the world at large. Moment Point is dedicated, therefore, to publishing works that challenge and inspire us to become empowered, conscious human beings able to consciously create the lives of our choosing. They publish works in the following categories only: self-help, personal growth, conscious creation, new age, spirituality, death and dying. Quest Books is an affiliate of the Theosophical Society in America. They publish nonfiction trade paperbacks that speak either explicitly or implicitly to some aspect of Theosophical philosophy. They welcome manuscripts on universal philosophical and religious principles, world religious traditions, Theosophy, meditation, spiritual ecology, transpersonal psychology, new science, men's and women's spirituality, and holistic health and healing. Red Wheel, the newest of the three imprints, founded in 2000, publishes practical, helpful books, most with a spiritual element. There’s an old story that if you give a hungry person a fish you feed that person for a day, if you teach that person to fish that person won’t go hungry for a lifetime. Red Wheel aspires to publish books that teach folks to fish. Red Wheel publishes spunky self-help, self-help/inspiration, and spirituality/self-help. Weiser Books has a long history as one of America’s preeminent publishers of esoteric or occult teachings from traditions all around the world and throughout time. Metaphysics and magick, Kabbalah, astrology, tarot. They publish serious books for students from all walks of life. Conari Press, founded in 1989 in Berkeley, moved east in 2002, to join Red Wheel and Weiser Books. Inspire, literally to breathe life into, that’s what Conari Books aim to do—inspire all walks of life—mind, body, and spirit, and to inspire creativity, laughter, gratitude, good food, and all good things in life. Conari Press topics include spirituality, personal growth, parenting, and social issues. Sentient Publications is an independent press with a focus on cultural creativity, experimental education, new consciousness and transformative spirituality, holistic health, science and ecology, approached from an integral viewpoint. With over 70 years of experience in publishing health, mind, body and spirit books, ThorsonsElement offer an unmatched selection of titles written with integrity, authority and vision. From master storyteller Paulo Coelho to relationships guru John Gray, ThorsonsElement have had many books on the bestseller lists. ThorsonsElement are the health, mind, body and spirit imprints of HarperCollins Publishers. Their books focus on self-help, so whether you want to find out more about yoga, gain confidence, stop smoking or learn tarot, Thorsons and Element are the first step. We offer a wide variety of books from beginner to advanced or practitioner levels. 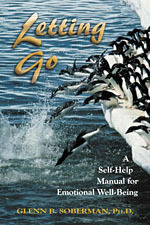 Blue Dolphin specializes in publishing books and tapes on comparative cultural and spiritual traditions, lay and transpersonal psychology, education, new science, self-help, health, healing, complementary medicine, ecology, interspecies relationships, and whatever helps people grow in their social awareness and conscious evolution. Blue Dove Press publishes books and tapes about the teachings, lives and examples of saints and sages that span the world's religions and spiritual traditions. Deseret Book Company publishes many kinds of books and other products, but all of them reflect the values espoused by The Church of Jesus Christ of Latter-day Saints. Subject areas include: doctrinal, church historical, biographical, inspirational, self-help, family, women's, youth/children's, contemporary issues, fiction. Friends United Press is a Quaker (Religious Society of Friends) publishing house with a list that includes Quaker history, biography, theology, spirituality, and inspirational titles. Founded in 1969, the press is the publishing arm of Friends United Meeting, an international association of Friends meetings and churches, whose purpose is to "energize and equip Friends through the power of the Holy Spirit to gather into fellowships where Jesus Christ is known, loved, and obeyed as Teacher and Lord." Harmony Books is a market leader in the area of mind, body, and spirit, as well as biography, memoir, science, and general narrative nonfiction. Its critically acclaimed and best-selling authors include Stephen Jay Gould, Caroline Myss, Deepak Chopra, and Suzanne Finstad. Bell Tower (a division of Harmony Books) publishes works of teachings from many sacred traditions—books that nourish the soul, illuminate the mind, and speak to the heart. 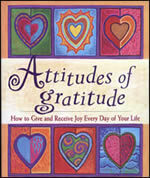 Its authors include Stephen Levine, Bernie Glassman, Ram Dass, and Rabbi Joseph Telushkin. HarperSanFrancisco strives to be the preeminent publisher of the most important books across the full spectrum of religion and spiritual literature, adding to the wealth of the world's wisdom by respecting all traditions. Since 1975 Hohm Press has published books that promote spiritual integrity and encourage harmonious relationships and healthful living. Recognizing the unity and interdependence of all life, Hohm Press offers the writing of renowned teachers such as Lee Lozowick, Arnaud Desjardins, Georg Feuerstein, Deben Bhattacharya and Purna Das Baul. Hohm Press specializes in the areas of religious studies, natural health, relationships and transpersonal psychology. Lantern Books publishes books for all who want to live with greater spiritual depth and who are commited to the preservation of the natural world. Their books cover such subjects as health and healing, psychology, social thought, and religion, as well as nature and environment, animal advocacy, and vegetarianism. New World Library is dedicated to awakening individual and global potential through inspirational and practical nonfiction books and audio cassettes. They publish books and cassettes on personal growth, spirituality, health & wellness, business & prosperity, religion, parenting, multicultural studies, and women's studies. North Atlantic Books publishes alternative health, martial arts, and spiritual titles. They’ve explored the literature behind unexplained anomalies such as Martian landscapes, Amazonian shamanism, and historical conspiracies. They've published the teachings of Islamic Sufism, Jewish mysticism, Buddhism (Chinese, Japanese, and Korean), and Vedantism to western readers hungry for spiritual sustenance. They address the body and the mind with a wealth of modalities, from Alexander work and Feldenkrais, to Reiki, Jungian psychology, and cranial sacral therapy. They also continue to publish environmental titles, graphic novels and comics, and new perspectives in dance, film, and theater. Oneworld Publications is an independent publishing house based in Oxford, England. They are a leading publisher in Religious Studies and Comparative Religion. Their authors in Islamic Studies and Islam in the modern world are internationally renowned and include Farid Esack, Khaled Abou El Fadl, William Chittick, Majid Fakhry, Roy Mottahedeh and Hossain Modarressi among others. They also publish several outstanding thinkers and writers in theology and philosophy of religion such as Keith Ward and John Hick. Featuring one of the largest selections of Sufi literature and music to be offered anywhere, Omega Publications has been publishing and distributing material on Sufism since 1977. Please query us ONLY on Sufi related material. SkyLight Paths Publishing is creating a place where people of different spiritual traditions come together for challenge and inspiration, a place where we can help each other understand the mystery that lies at the heart of our existence. Through spirituality, our religious beliefs are increasingly becoming a part of our lives—rather than apart from our lives. While many of us may be more interested than ever in spiritual growth, we may be less firmly planted in traditional religion. Yet, we do want to deepen our relationship to the sacred, to learn from our own as well as from other faith traditions, and to practice in new ways. SkyLight Paths sees both believers and seekers as a community that increasingly transcends traditional boundaries of religion and denomination—people wanting to learn from each other, walking together, finding the way. 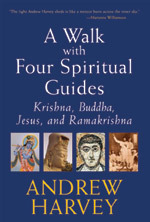 SkyLight Paths’ authors are at the forefront of spiritual thought. They draw on the wisdom of religion to help believers deepen their faith and help seekers in their search for meaningful spirituality. SkyLight Paths books are non-fiction almost exclusively, covering topics including prayer, meditation, spiritual retreats, spiritual direction, social justice, parenting and spirituality. Eclecticism may not be a religion, but Ulysses Press considers it their guiding principle in the realm of the spiritual. Whether it’s through Buddhist wisdom, Wicca ritual, or chakra healing, their approach is all about bringing a greater sense of spirituality into everyday life. 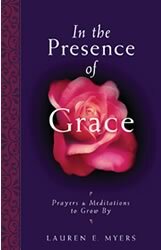 Books on meditation, contemplation and prayer offer a variety of ways to access the divine in the midst of our often-chaotic lives. Many of their titles explore the interconnections between world religions, looking beyond the confines of tradition. The diverse world of early Christianity is another focus, with several books investigating such mysteries as the Jesus Sutras, the Lost Gospels and the Dead Sea Scrolls. 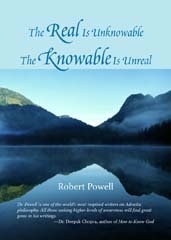 Authors such as Marcus Borg, Thomas Moore and Franz Metcalf offer fresh encounters with ancient wisdom and current insights into the realm of spirit and soul. exposition of the timeless Truth underlying the diverse religions. This Truth, often referred to as the Sophia Perennis—or perennial Wisdom—finds its expression in the revealed Scriptures as well as the writings of the great sages and the artistic creations of the traditional worlds. The Perennial Philosophy provides the intellectual principles capable of explaining both the formal contradictions and the underlying unity of the world’s great religions. The Library of Perennial Philosophy encompasses seven distinct series: Perennial Philosophy, Sacred Worlds, Sacred Art in Tradition, Spiritual Classics, Spiritual Masters—East and West, Treasures of the World's Religions, and Writings of Frithjof Schuon. Ranging from the writings of the great sages who have expressed the Sophia Perennis in the past, to the Perennialist authors of our time, each series of the Library has a different focus. As a whole, they express the inner unanimity, transforming radiance, and irreplaceable value of the great spiritual traditions. 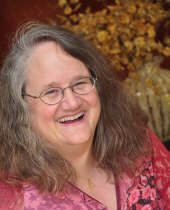 Julie Isaac is an award winning author and creativity coach. She is the founder of the WritingSpirit Book Writers Community, which focuses on helping authors and entrepreneurs get their books written-- from inspiration to income! Julie (@WritingSpirit) is the creator and host of #writechat, a live twitter chat held every Sunday from 12-3pm PST, attended by 200 to 300 writers weekly. Book promotion using "extras," like they put on movie DVDs? Creativity is alive, is fun, is now! The 15 Minute Writing Miracle!